ULI Boston/New England's Young Leaders Group invites all members to attend "Live, Work, Pay" on Monday, December 1, 2014. Laura Ahmes oversees and executes TCC's research program, providing in depth analytics on both a macro and micro economic level. She is able to extrapolate existing market conditions and trends utilizing current and historical sales data from the greater Metro Boston marketplace. The basis of this research enables TCC to identify site specific competitors, portray critical and strategic recommendations in product positioning, unit mix, corresponding pricing, absorption and future market conditions. Previously a Managing Director at Accelerated Marketing Partners, Laura has personally contributed to over 1,700 residential units sold and $1 billion in total sales since 2008. Clients Laura has worked with directly include: the Carlyle Group, Starwood, Vornado Realty Trust, Canyon Johnson, Wood Partners and General Growth Properties. 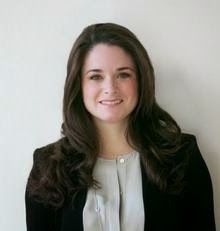 Laura also served as an investment banking analyst for J.P. Morgan's CMBS Group in Manhattan. Laura graduated as an Academic All American, from Boston's University's School of Management.